The nicest weather I experienced during the trip was on my third day in Japan, the rest of the trip was either cold and windy, cold and rainy, or cold and snowy. 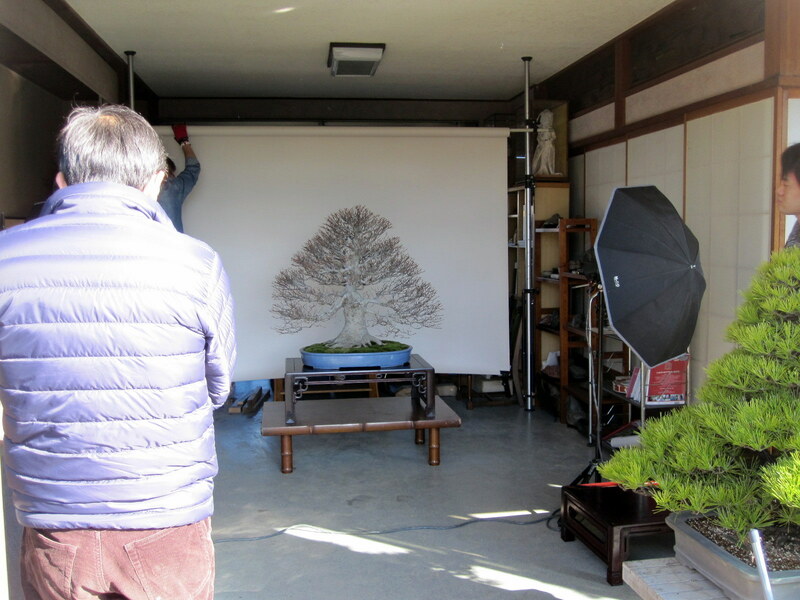 This day however was sunny and pleasant, which was great since the bonsai magazine Kinbon, was coming to do a photo shoot of the trees that were headed for Kokufu-ten. These trees had already been photographed once before when they were judged a few weeks prior to my arrival. 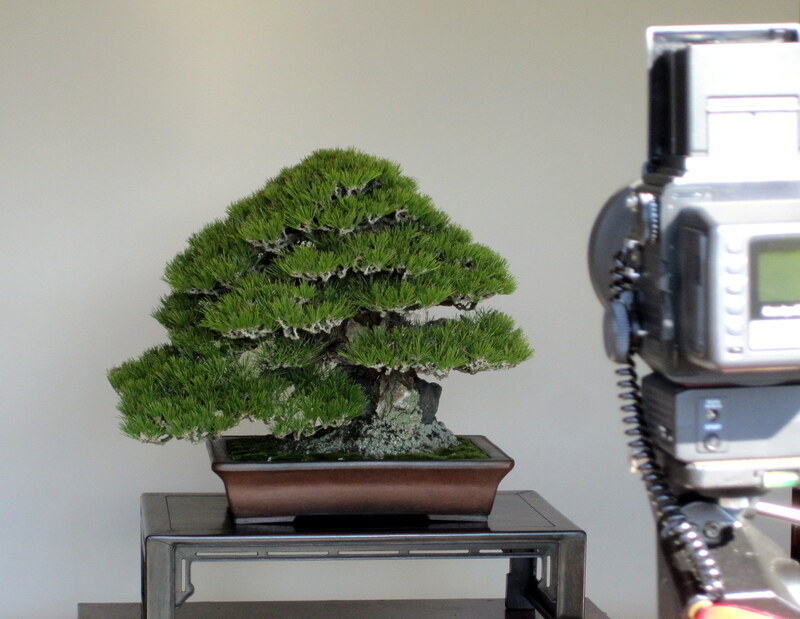 It was interesting to find out that all the bonsai in the Kokufu exhibit are judged and photographed almost a month before the actual show. Since then they were being kept in the workshop, protected from the elements. This meant that my sempai Takuya and myself would be lifting trees for most of the day. 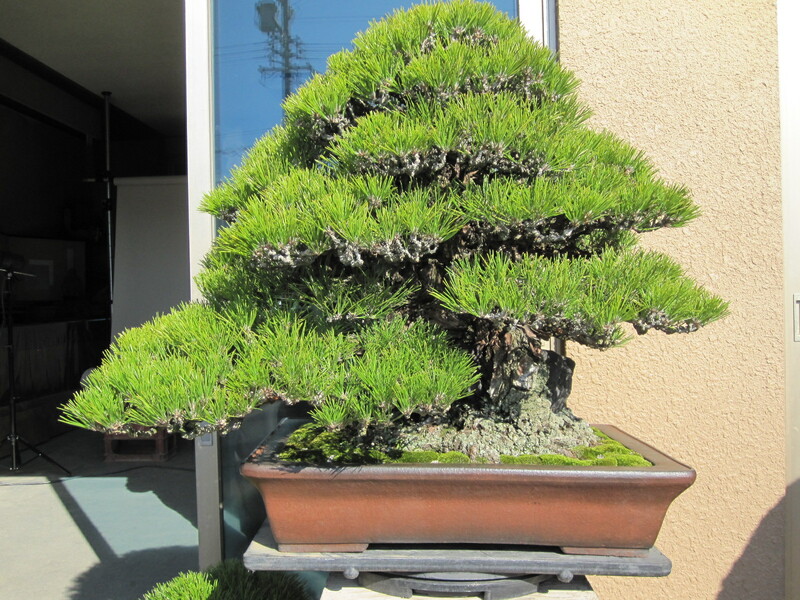 This needle juniper had some of the tightest foliage pads I’ve ever seen. 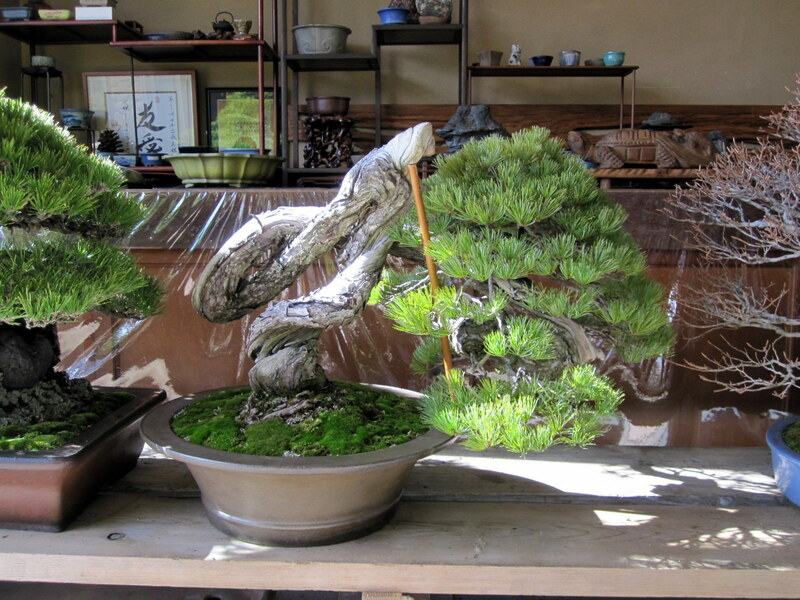 This tree was from Gashoen, another bonsai nursery nearby, and Mr. Suzuki was taking it to the show for them. Not the best picture of a very nice japanese black pine. For whatever reason the photos I take with my iphone don’t capture the whole image as it appears on the view finder. Even from the back this semi cascade white pine looks awesome. 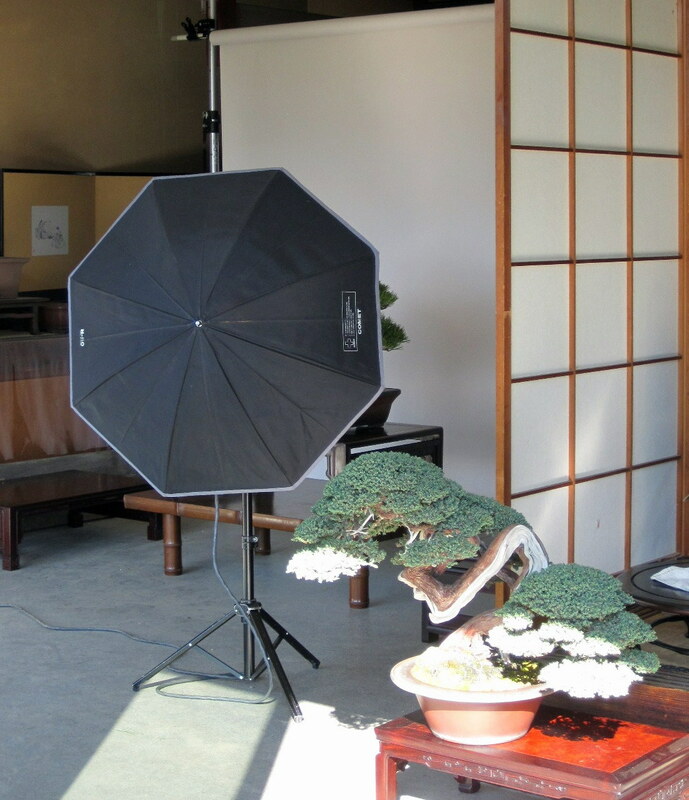 More trees were also being kept in the reception area which is where the photographer set up his backdrop. Since this beech was the closest tree it was the first one to be photographed. Once things were set up the photo shoot did not take as long as I thought. 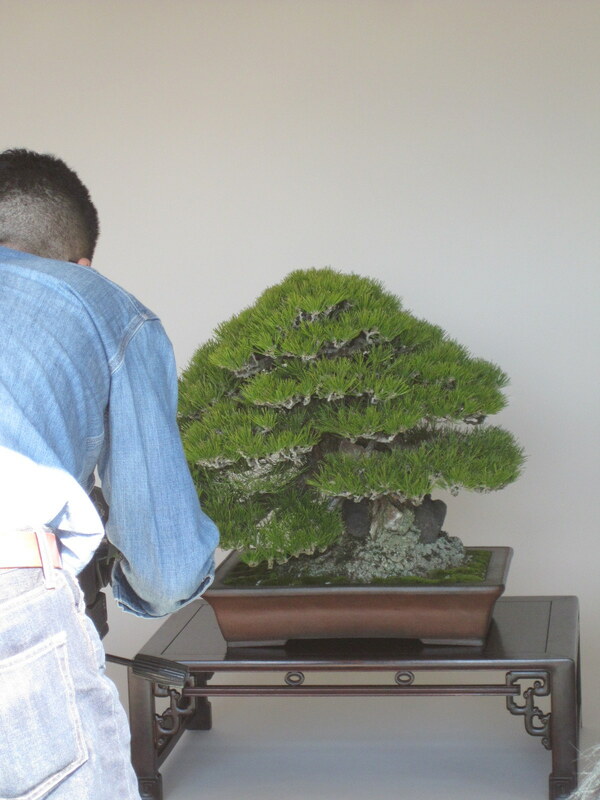 The displays had been thought out by Mr. Suzuki long in advacnce and it was simply a matter of us removing the tree, Mr. Suzuki changing the stand and then we were there with the next bonsai to photographed. Very effecient. The next one up was one of my favorite trees. 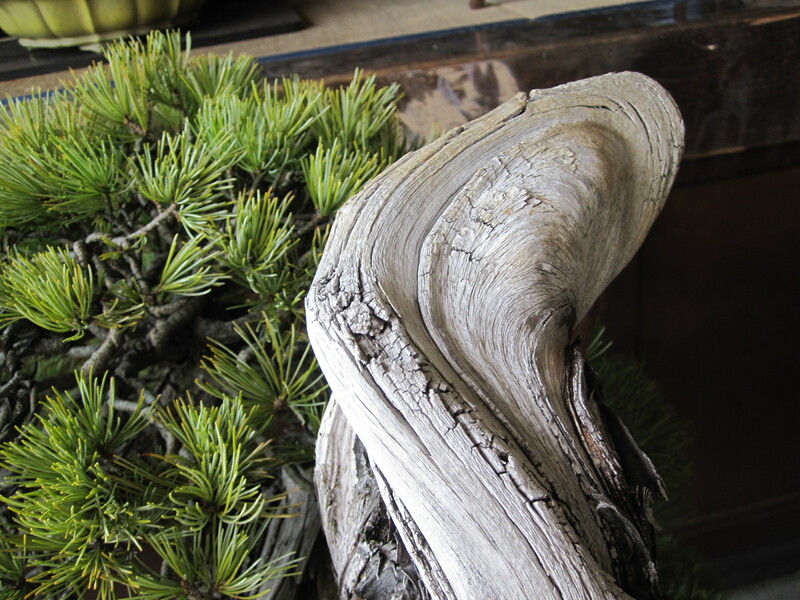 A bunjin white pine which had beautifully old shari. 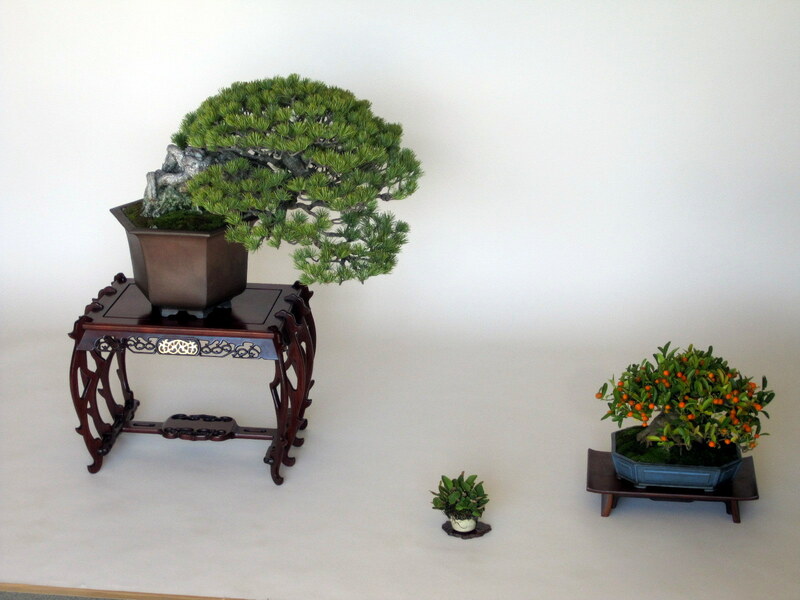 Since this years Kokufu was a double show, meaning there were two sets of bonsai exhibited, each set was judged and awarded. 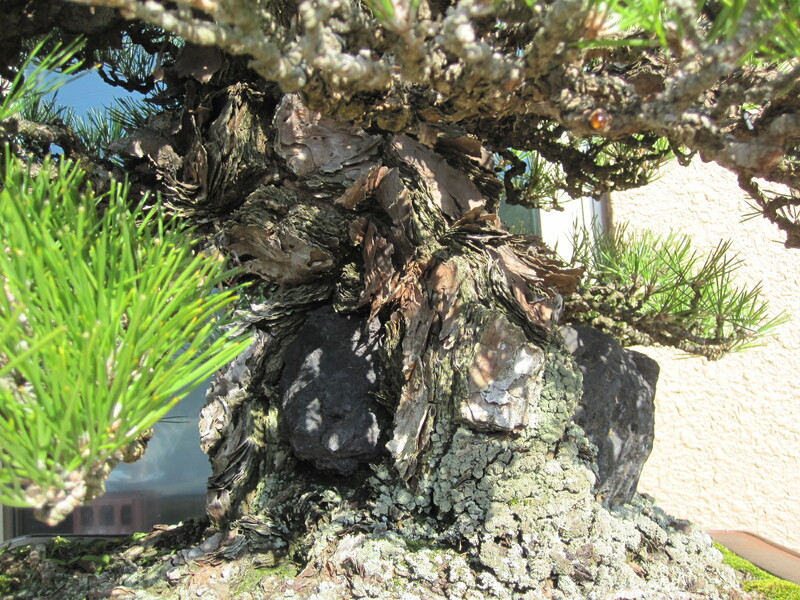 This already famous Kichou, (Important Bonsai Masterpiece), root-over-rock JBP won “Best Conifer” of the second group. In addition to the big trees there were several three-point-displays photographed. Japanese White Pine with kumquat shohin and small fern. The kumquat was kept warm in a small plastic greenhouse inside the Suzuki home along with a few houseplants. 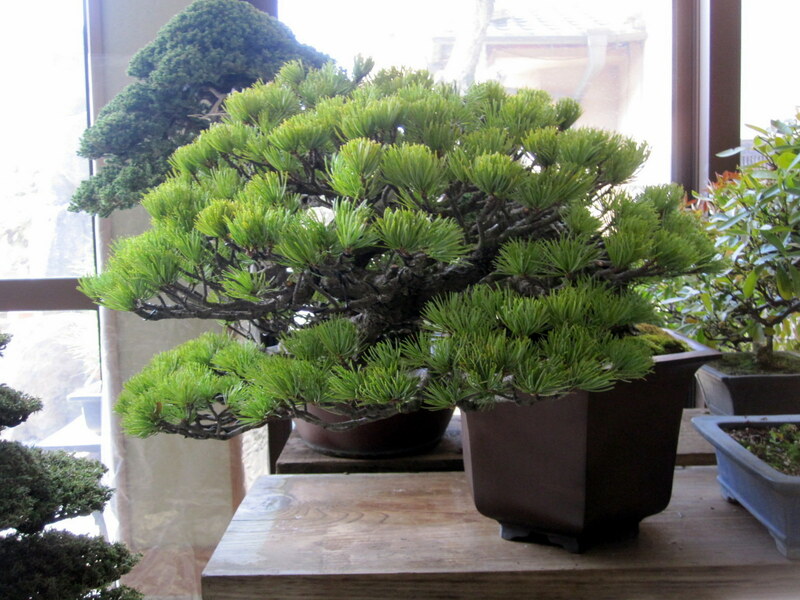 Another killer japanese white pine smiles for the camera. 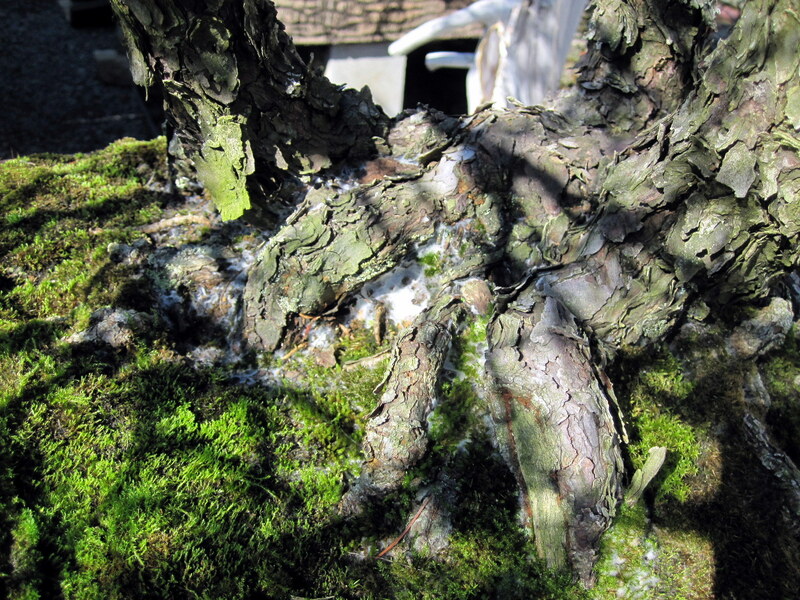 The same semicascade white pine from above, but now paired with a shohin root-over-rock japanese maple, and perhaps the most famous accent plant ever. I really liked the character of this tree, great trunk. 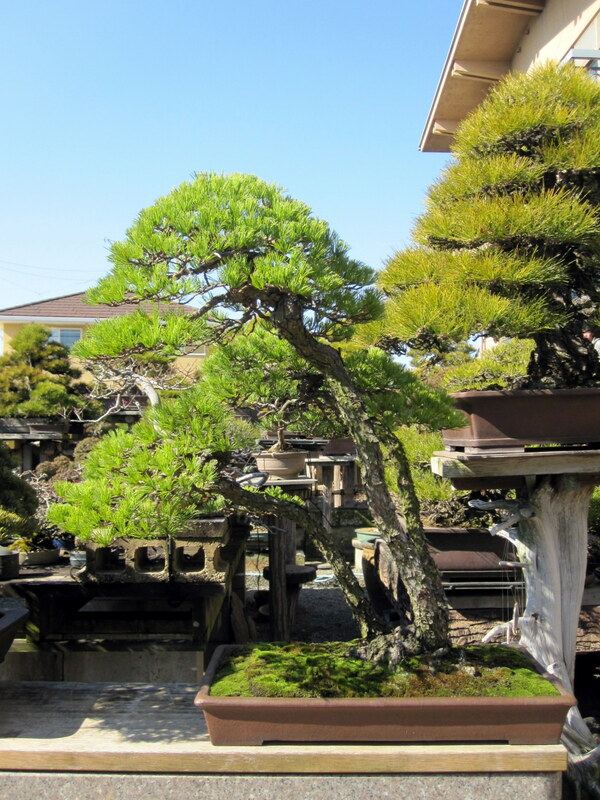 It is a procumbens juniper or sonare in Japanese, with foliage as tight as your ever going to see. Once photographed each tree was set out to catch some much needed rays. After we set this tree down I noticed something white around the nebari. It looked like the tree had some fungal issue. Concerned, I asked Takuya about it, he smiled and said “Strong tree”. I am no stranger to mycorrhiza but I’ve never see it as abundant as this, it was growing up the nebari! 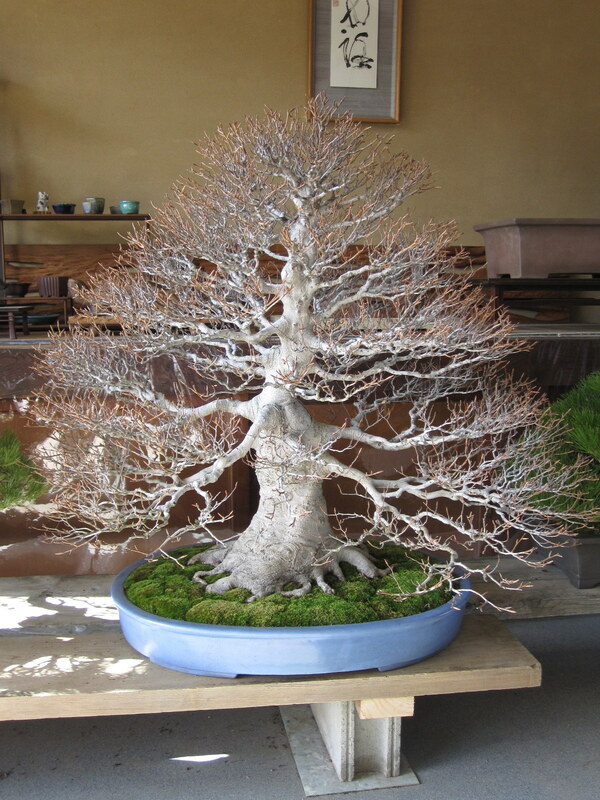 Not only is this a strong tree but its another kichou bonsai. This quince was one of the shohin used in another three-point-display. Not only is this tree top shelf, but check out the patina on its pot. 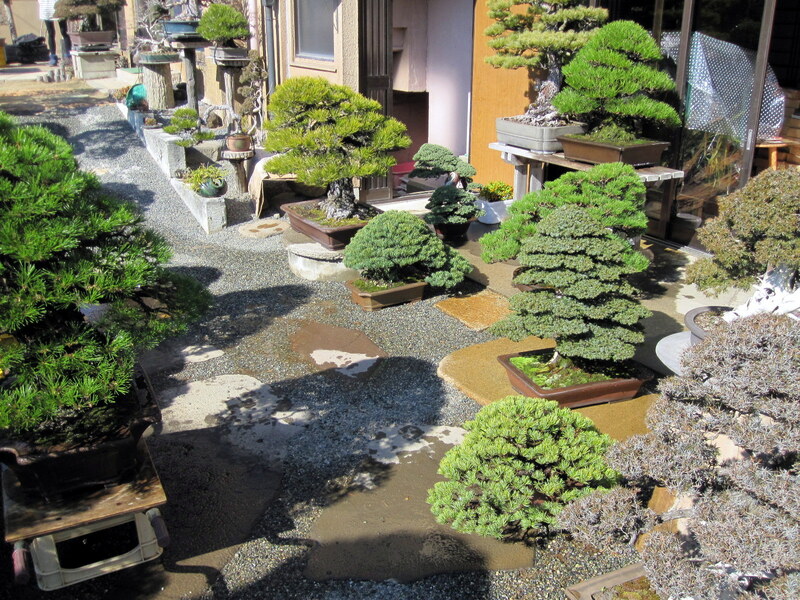 Kokufu trees are transplanted into antique Chinese and Japanese pots for the exhibit then put back into their “growing” containers after the show. The very last thing I did was give each tree a much needed watering. If you have the chance pick up a copy of Kinbon to see the actual photos. As always, thanks for reading. 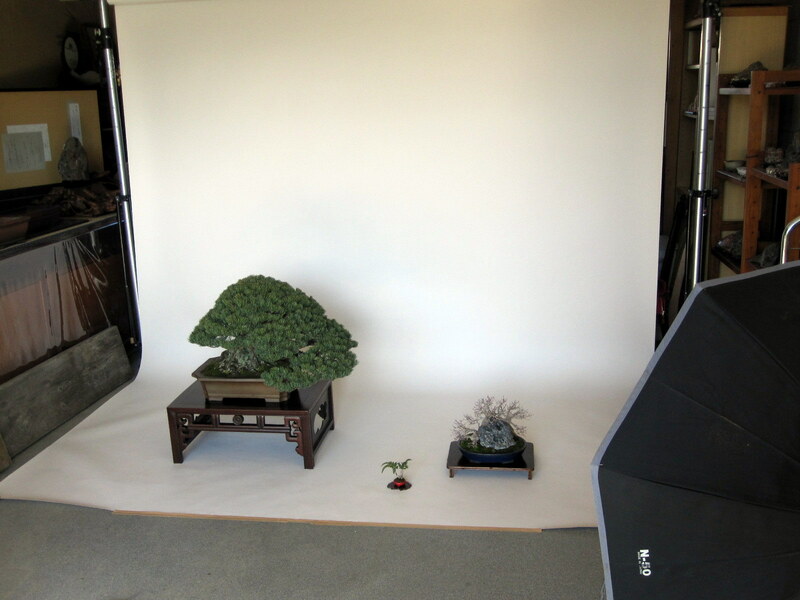 This entry was posted in Display, Publications, Travel and tagged Bonsai, Daiju-en, Japan, Japanese Black Pine, Japanese White Pine, Juniper, Kinbon, Kokufu-ten, Photoshoot, Three-point-display, Tohru Suzuki, Tree the People, Winter by aarinpackard. Bookmark the permalink. I love the bunjin white pine! 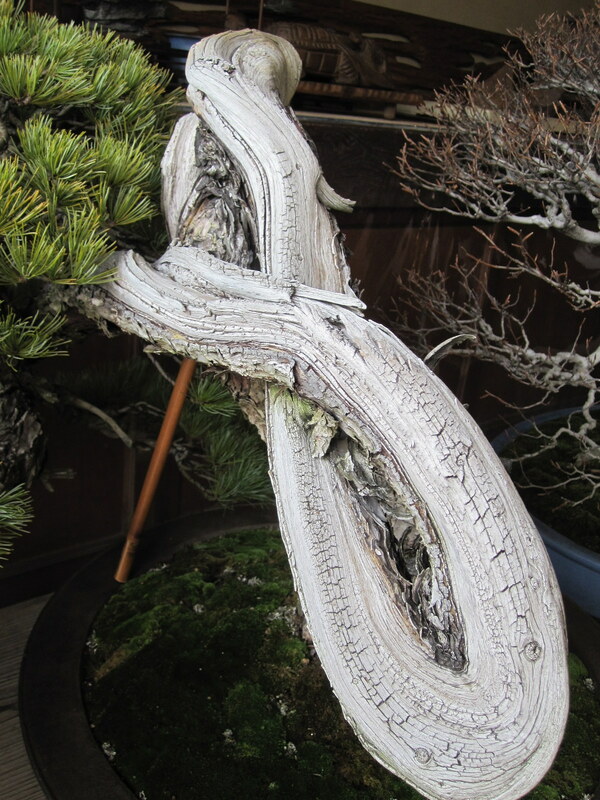 Do you know if it happens to be yamadori? Or home grown? 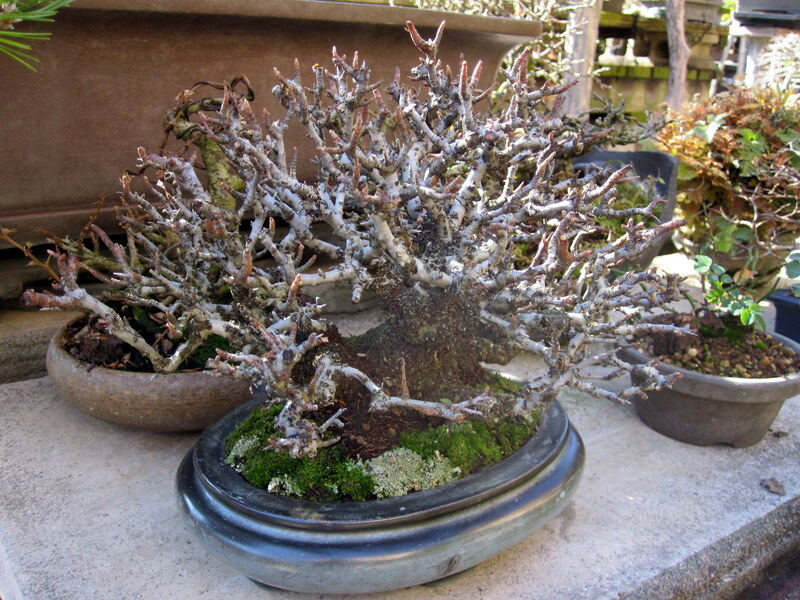 The shari looks old enough it could be from a collected tree. I would almost guarantee that it was collected. I get lucky and come across crazily convoluted Limber pines and ponderosa’s similar to that white pine while I’m collecting. Very few of them are ever collectible though. Great write up… Photographs are stunning, tree once again awesome! Beautiful Stuff! Thanks for posting it all so us common folk can see (and drool) what can be accomplished. What an opportunity to see such trees close up and personal. Thanks for blogging. Its really helped me think about how we can photograph the Museum trees. Thanks Aarin for the beautiful photos of beautiful trees!